Propane Regulator. 37 mbar Propane regulator - MAX 1.5kg hr -. Inlet: male POL, Outlet: 5/16” hose nozzle Inlet Conn POL Nut Outlet 8mm Inlet Pressure 1 to 16 bar Outlet Pressure 37 mbar. 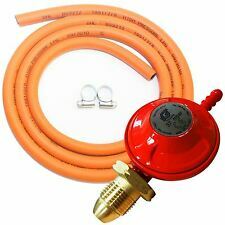 High Pressure LPG Hose. Propane Gas Regulator With Easy Hand Wheel - No Spanner Needed. Propane Regulator. 37 mbar Propane regulator - MAX 1.5kg hr -. Hand Wheel For Tightening. Can be folded in full or seim circle. Material: Aluminum. Butane Screw-In Regulator (Calor 4.5kg Type). 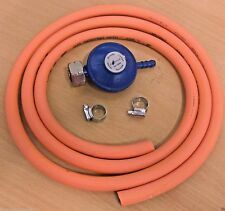 All you need to attach to your 4.5kg butane gas cylinder. · Gas type - Butane 29mbar. EN Approved. We will always help you to have a 100% positive happy buying experience. 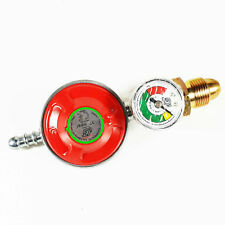 Camping Gaz Cylinder Regulator &. 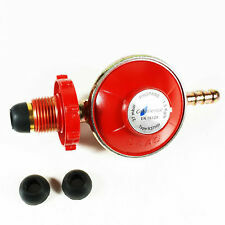 This regulator is suitable for 901, 904 and 907 Camping Gaz cylinders with a screw-in fitting; (see picture above). The regulator is not manufactured by Camping Gaz. Propane Regulator. 37 mbar Propane regulator - MAX 1.5kg hr -. Inlet: male POL, Outlet: 5/16” hose nozzle Inlet Conn POL Nut Outlet 8mm Inlet Pressure 1 to 16 bar Outlet Pressure 37 mbar. NGT 450g neoprene Gas Cover. Fits 450g Butane bottles. Side pocket for lighter. 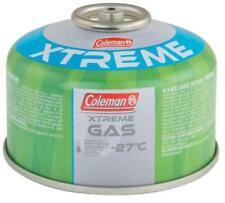 1 x Gas Cover as Pictured. 10 Plate Foldable Cooker BBQ Gas Stove Wind Shield Screen Picnic Outdoor Camping. Built in pegs to ensure wind shield fixed into ground firmly. 1 x 10 Plates Wind Shield Screen. A must have one for any outdoor camping cooking. Andes foldable gas stove windshield. A must have camping accessory to assist you whilst cooking. Bulb Type 10 Panels – Each panel is 8.4cm x 24cm. Colour: Silver. Size: Length: 84cm x Height: 24cm. We are here to help! LPG Clip on Butane Gas Regulator 21mm. Gas type - Butane. For use with these cylinders. Cylinders shown for illustration only, not included in sale. You do not need an existing account in order to use this service. Excellent for camping, cooking, heating. 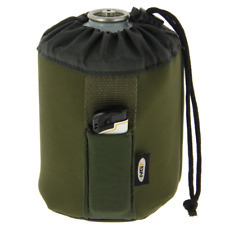 Suitable for picnics camping portable stoves & heaters. Can be placed on a table to shelter your gas stove. Lightweight and easy to carry. CONTINENTAL CAMPINGAZ REGULATOR. This regulator can be Fitted on Campingaz 907,904 and 901 size cylinders. Perfect for use with Campingaz products. Regulator Campingaz screw on type. Cylinder connection screw IN Butane. Use this shield to stop that pesky wind from extinguishing your camping stove or fire! Simply surround your stove or fire with the polished aluminium screen, push the two pins into the earth and it’s ready. BUTANE GAS CANISTERS. 227g (400ml) gas canisters. BUTANE GAS CANISTERS. 227g (400ml) gas canisters. Excellent for camping, cooking, heating. 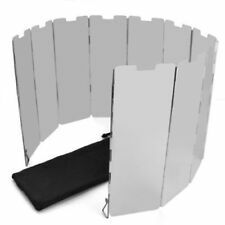 10Plates Wind Shield Screens fold-able Outdoor Camping Cooking Cooker Gas Stove Windshield Wind Screen. 1 Camping stove wind shield. Great for outdoor camping, picnic cooking and outdoor activities. Attaches to propane gas tanks with 5/8” POL-type valve. 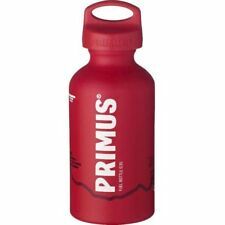 Fits the following Propane Bottles Ideal for camping, gas cookers, barbecues and patio heaters. 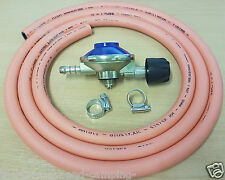 Hose nozzle for standard 8mm gas hose. Designed by E2E Solutions Ltd. CHEAPEST ON EBAY!! PRICE WONT BE BEATEN!! TOP QUALITY!! Butane Regulator. 30 mbar Butance EN16129 regulator - MAX 1.5kg hr -. 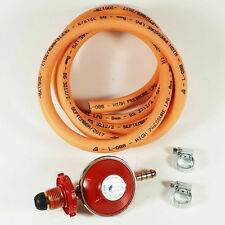 High Pressure LPG Hose. Propane Regulator Red 1.5kg/hr LR2107P A300-021. Propane Regulator. 37 mbar Propane regulator 1.5kg hr -. Inlet: male POL, Outlet: 5/16” hose nozzle Inlet Conn Polcga Nut Outlet 8mm Inlet Pressure 1 to 16 bar Outlet Pressure 37 mbar. Butane Regulator Clip On for 21mm Bottles. Butane Regulator. 30 mbar Butane EN16129 regulator - MAX 1.5kg hr -. Continental Gas Regulator POL Nut Fixed 37Mbar. Suitable for a Low pressure Calor Gas / Flogas and all Screw-in propane gas cylinders. Outlet Pressure: 37mbar. Ideal for BBQs, Blow Torches Boiling Rings and Site Heaters, Blower Space Heaters, Cabinet Heaters, Blow Guns, Catalytic Heaters that require low pressure propane application. The MSR Piezo Igniter reliably lights most canister stoves with push-button convenience. Versatile: Designed to work with most canister stoves (Not compatible with the Reactor® stove, or other radiant burners). Great for camping. 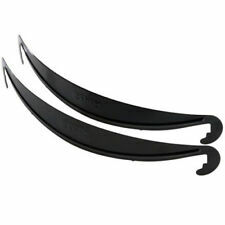 Folding design, fixed sticks at both ends for easy outdoor use;. The windshield is made of polished aluminum and is light (270g). Material: high quality aluminum alloy. Panels Number: 10 panels. Foldable gas canister stand to increase stove stability for safer cooking. Weight (oz) 0.84 oz. Weight (grams) 24 g.
Butane Regulator. 30 mbar Butane EN16129 regulator - MAX 1.5kg hr -. 8 Large Hexamine solid fuel tablets for use with portable solid fuel cookers. Solid Fuel Tablets. Solid fuel Hexamine tablets are great for folding pocket stoves and also make an excellent fire starter. 8X Solid Fuel Tablets. Their Compact size makes them ideal for Survival Kits were space is at a premium. 4 X Marksman Butane Gas Canisters. 227g (400ml) gas canisters. 1 x 10 Plates Wind Shield Screen. Built in pegs to ensure wind shield fixed into ground firmly. Perfect for any outdoor camping cooking. 10 PCS Plates Design. The colors may be a little difference for the different monitor display. Suitable for picnics camping portable stoves & heaters. 227g (400ml) gas canisters, EN417 Compliant. Camping Stove Windscreen Cooking Windshield Outdoor Cooking Accessories Windproof Folding Screen. Built in pegs to secure wind shield into ground. Suitable for picnic, camping and other outdoor activities. To fit all coleman stoves and lanterns. Single pump cup. - works better & l asts longer than rubber. We design and develop our own products which include covers for RIBs and speed boats as well as outboard engine covers. 45-75 hp engines Outboard Motor boat Cover from Ducksback. 4-15 hp engines Outboard Motor boat Cover from Ducksback. 4 x BUTANE GAS CANISTERS. 227g (400ml) gas canisters. Looking for new Clothes?. Superdry is having the biggest sale of the year don't miss out! Student Essentials Get everything you need for Uni from Argos. This is the toaster you need for every camping trip and it fits neatly into the Bright Spark gas cooker carry case! We will confirm when your item is ready to collect. The Cadac EN417 Regulator Assembly will enable low pressure Cadac Barbecues and Stoves (running from refillable gas bottles) to be able to work from a disposable gas cartridge. Simply screw the tail end fitting onto the product and the fit the regulator on to a screw thread gas cartridge. 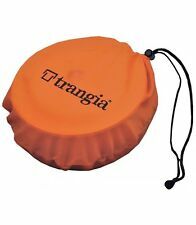 This useful accessory is ideal if your just wanting to use your barbecue for a one or two night's stay, when taking limited kit with you. Will fit the following Cadac Models; Safari Chef LP, Carri Chef (all models), Grill O Gas Braai and the Travel Chef.